The selection of the LAFF 2014, Presented by Film Independent, has films that are newly coming out of the oven, others have already won prizes at some festivals around the world, and some will make echoe at the end of the year at the award season. Los Angeles Film Festival 2014 runs from June 11 to 19 at the Regal Theaters, L.A. Live. Festival in LA has picked ten of what we consider a must see, or in other words the top TEN MOVIES TO DIE FOR AT LOS ANGELES FILM FESTIVAL. 1. “Walking under Water” Absolutely gorgeous, breathtaking, superb piece of filmmaking. A wonderful documentary with a striking beauty, the cinematography is simply dazzling. 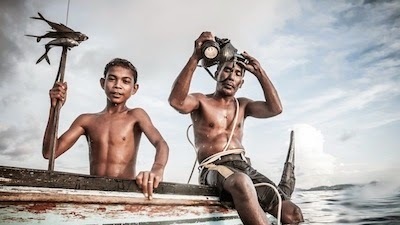 "Walking under Water" vividly captures the life of two oceanic nomads of the crystal clean waters of the islands of Borneo. Exactly as in the movie “Drought/Cuates de Australia,” but with different ecosystems, one is in the desert and the other under water. The film is directed by Eliza Kubarska. 2. 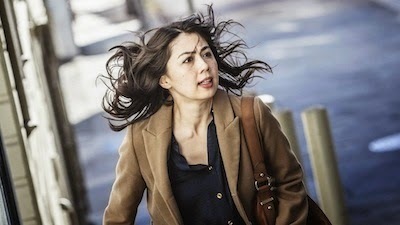 “Man from Reno” A well directed and edited film by Dave Bayle (“Big Dreams, Little Tokyo”), where in this murder/mystery/neo noir case drama, every clue is important. The suspense keeps us wondering why, what, and who is behind the series of murders, while in San Francisco a prominent Japanese writer, Aki, starts losing control of her reality. Pepe Serna’s performance in “The Man from Reno” is a role of a lifetime. 3. 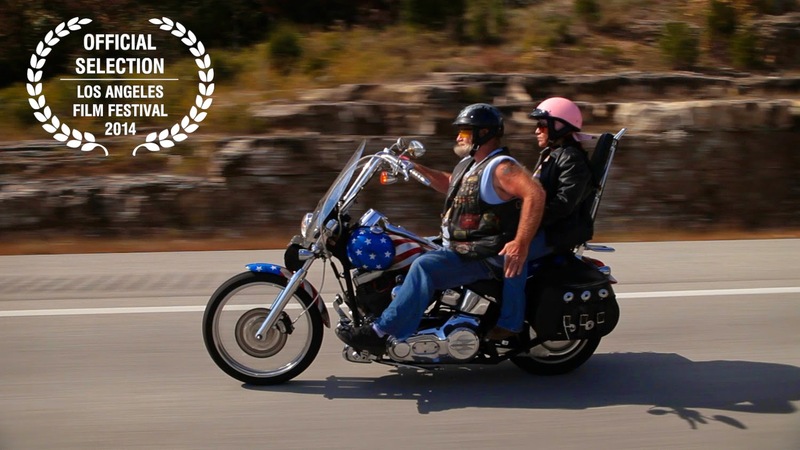 “Stray Dog” A documentary about an American hero riding his bike around the country. The Vietnam veteran moves forward to help others, his family, his comrades and the families of others lost in combat. Comprehension, love, and wellness are the key elements to move on with their lives regardless of their dreadful past, including his PTSD (Post Traumatic Stress Disorder). An eye opening. A new beginning for the American dream. 4. “Eat with Me” This movie will get you “In the Mood for Love” much more so than “The Wedding Banquet.” A neglected mother and her aspiring gay son are trying to understand their lives. It’s funny, romantic and above all… well made for a first time filmmaker David Au. The cameo of George Takei (“Star Trek”) is sensational - all actors in this movie are wonderful. 5. "Last Days in Vietnam"
5. "Last Days in Vietnam" After the marvelous portrait of her mother “Ethel,” Rory Kennedy delivers another powerful documentary about what really happened in the last days of the Vietnam war. It may create a controversy that opens up the Vietnam debate about the people that got killed after the Americans left the country. 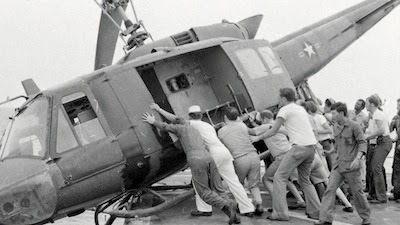 “Last Days in Vietnam” is presented with newly found stunning archival footage that no one have seen before. 6. 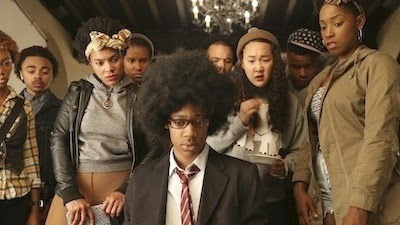 “Dear White People” The most talk about film in Sundance that everybody is dying to watch. A radio show broadcaster in campus talks openly about racial issues. Director Justin Simiens’ satiric approach provokes great topics for debates. This is a movie I’m dying to see. 7. 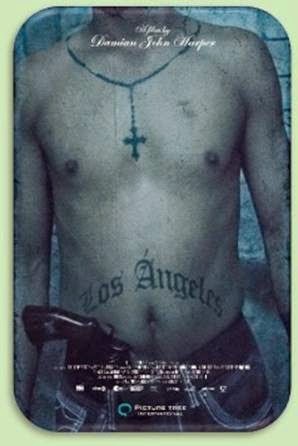 “Los Angeles” Gangs and vengeance. The immigration drama unfolds in a small Zapotec town of Oaxaca, where young Mateo is challenged with money and obsessed with the American dream. Damian John Harper’s directorial debut transcends the gangs related genre in a more modern approach of a “raw reality” lived by many. 8. “Club Sandwich” Is a coming of age movie, where a mother and son open up to talk about their sexuality with a great sense of humor. Winner of best director at the San Sebastian Film Festival, Fernando Eimbcke also won the Jury Prize at AFI Fest 2004 for “Duck Season/Temporada de patos.” He also won twice the Ariel (Mexican Oscar) for best picture, one for “Duck Season” and the second one for “Lake Tahoe.” A breeze of fresh air in the new wave of Mexican Cinema. 9. “Echo Park” From her rich house in Beverly Hills to a new apartment in the eclectic part of Echo Park, only Sunset Boulevard will connect this confused Sophie wonderfully played by Mamie Gummer, who is making a career of her own. Her mother Maryl Streep must be really proud of her. Sophie will find herself with her new life in a diverse circle of friends of the modest community of Echo Park. Well directed by Amanda Marsalis. Written by Catalina Aguilar Mastretta (daughter of famous Mexican novelist Hector Aguilar Carmín (Morir en el Golfo) and Angeles Mastretta (Arráncame la vida/Tear this heart out)). "Echo Park" is part LA Muse section. A must see. 10. “Inner Demons” This new “Blair Witch Project” of Beverly Hills will get you a good scare. A low budget film that knows how to do “The Craft” and the suspense of “The Conjuring.” I love this scary movie, a movie that really will make you "to die for" at Los Angeles Film Festival. Three out the ten picks won the Jury Awards: Dave Boyle’s Man From Reno, Debra Granik’s Stray Dog & Damian John Harper’s Los Ángeles.